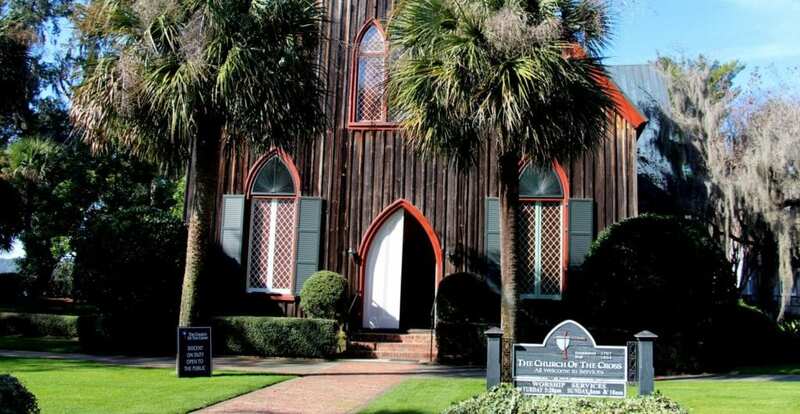 At the end of historic Calhoun Street in Old Town Bluffton, lies The Church of The Cross. 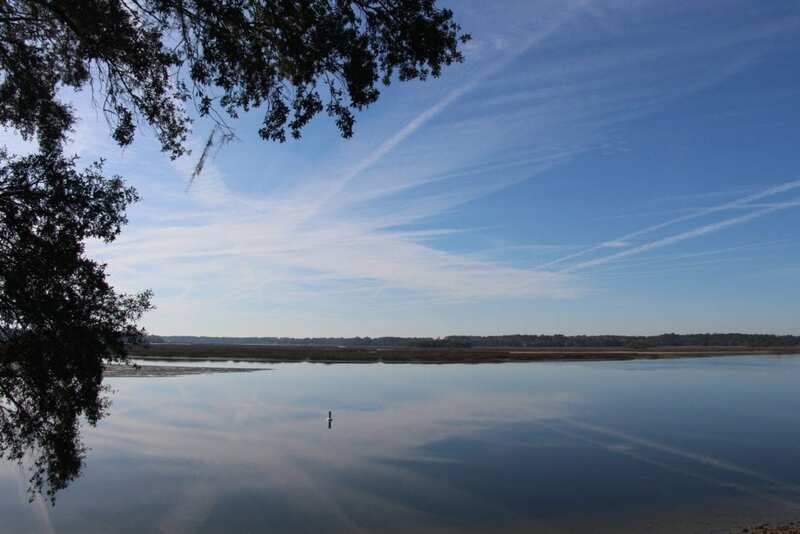 Sitting on the bluff overlooking the May River, The Church of the Cross holds many stories for its visitors. From the civil war to its kerosene soaked pine floors, to the unknown architect who designed the church, to bees (yes, bees that make honey) making the exterior church walls their home, there’s a lot of fun and interesting facts that make this stop a memorable one. We recommend going to the church when a volunteer is onsite (typically normal operating hours). 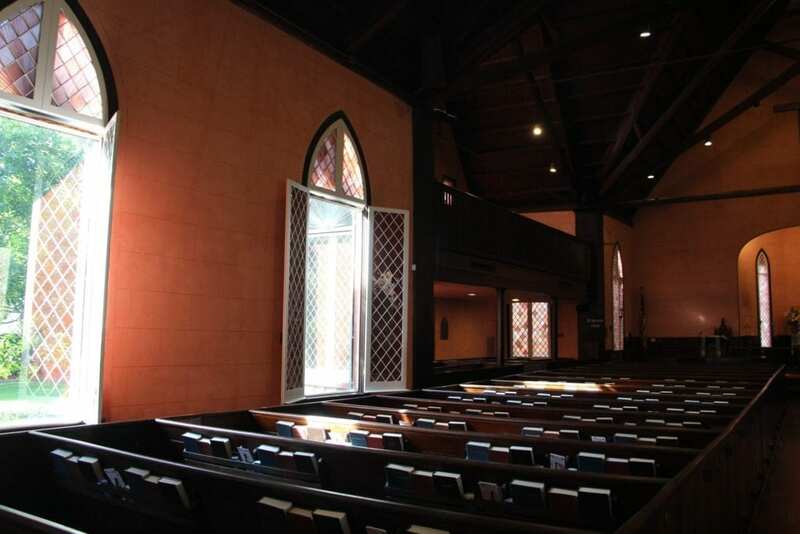 Built in 1857, The Church of the Cross was built to accommodate the growing members of the chapel that sits next door (the chapel was built in 1842). 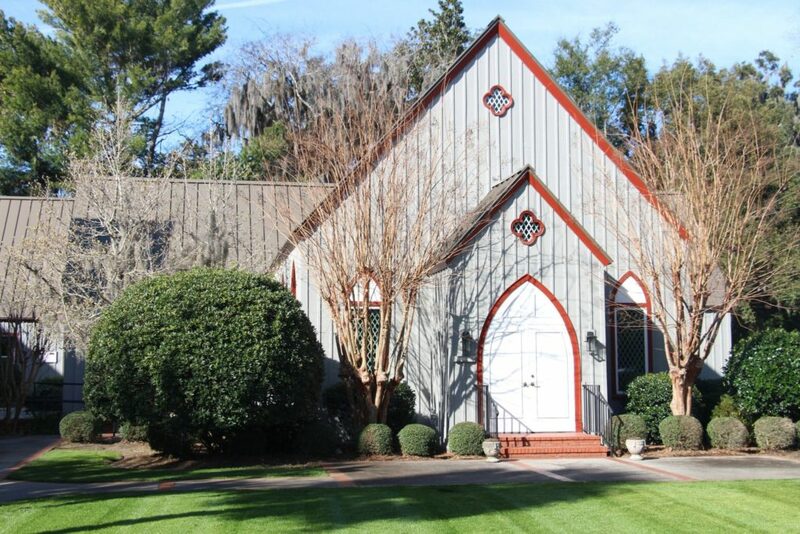 The chapel was developed to meet the needs of the town of Bluffton as it became more centered around church life. It didn’t take long before they realized they were going to need a more prominent place for its congregation. 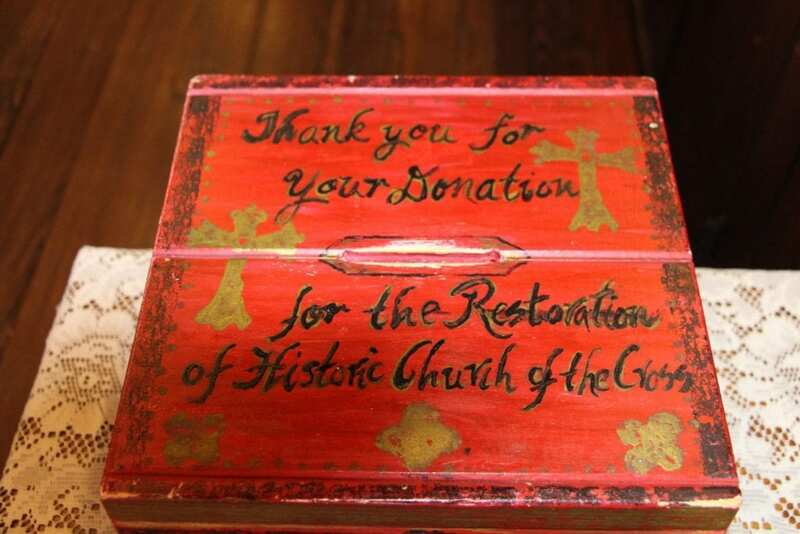 Once the architect was selected to build the church (and they are uncertain who the architect was who designed the church…highly debated), money was donated to make the $5,000 church. The church’s style/layout is centered around Gothic architecture. It’s believed that the daughter one of the men who was involved in the land and funds to help build the church influenced the design after spending a summer abroad in Europe. The original plan included towers and a vestibule which both were never completed. The bell that resides today on the outside of the church wasn’t the original bell. This bell was discovered after the civil war and brought to the church. The bell has a stamp on it that reads “Bluffton”. It’s believed the church was spared during the civil war fires by the oak trees surrounding the property (natural shield). The bell tower and bell were renovated in 2001. This plaque sits to the right of the front doors. 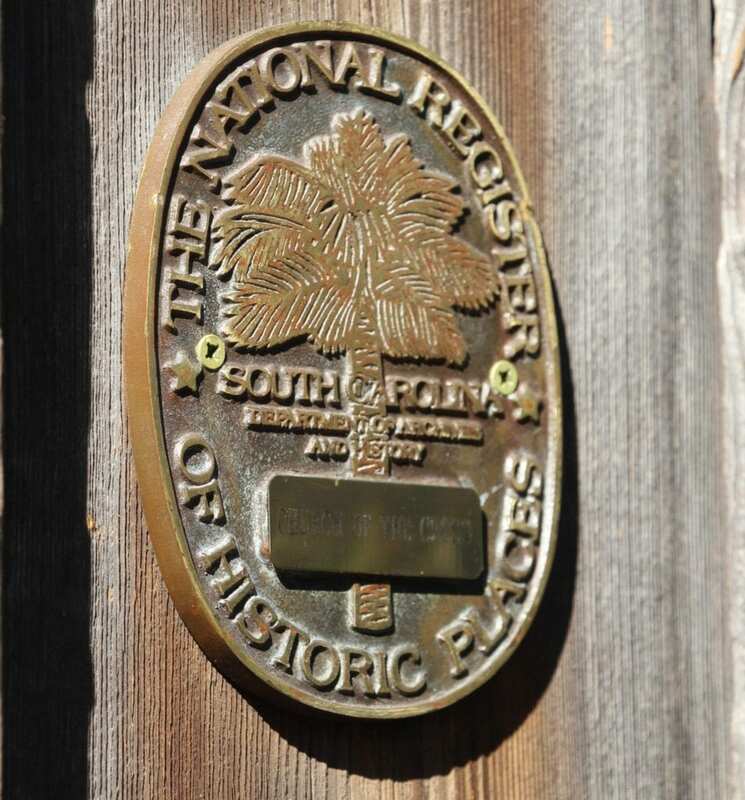 The National Register of Historic Places (South Carolina). Original Chapel built in 1842. The view from the bluff next to the church. View is facing the bluff (to your left) from the inside of the church. 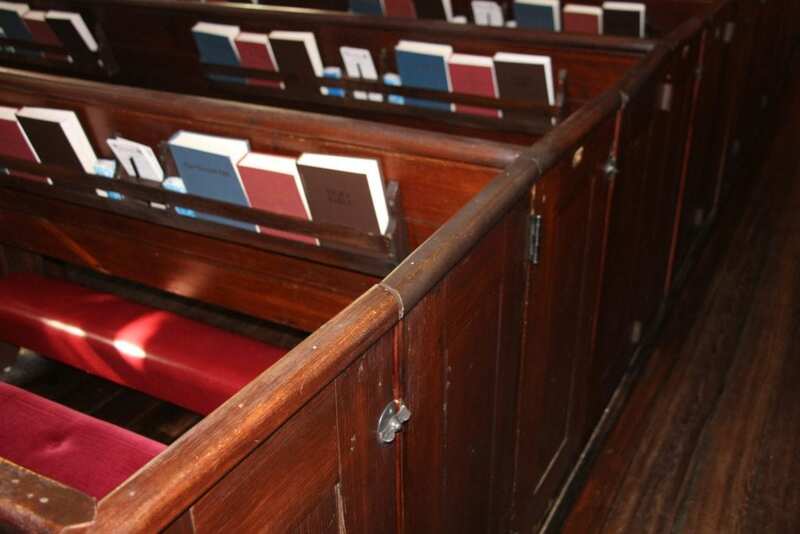 Pews have locks and numbers on them. 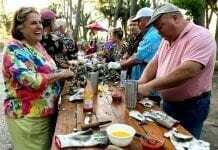 It’s believed families were able to reserve seats for the year for a small donation and were able to lock their pews to keep their children from leaving!!! 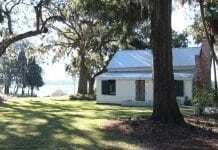 Remember, the church is located at the end of Calhoun Street next to the May River. If you start your journey at the intersection Calhoun and May River Road, it’s about a 5-minute walk to the church. 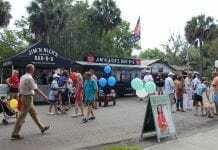 Along the walk, you’ll come across many local businesses and restaurants. 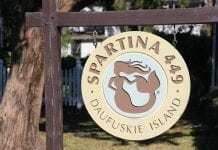 We recommend visiting Spartina 499, all of the art galleries (you won’t be disappointed), and The Cottage for a little something to eat. If your children are with you, head over to the Distillery for food and drink. 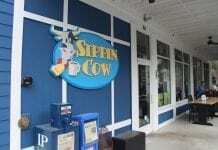 They have outside seating and plenty of room for the children to explore. 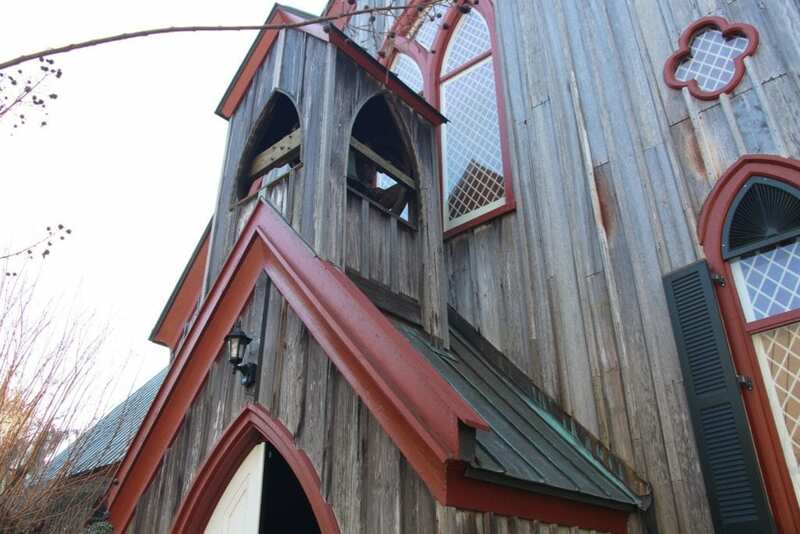 Surviving a war, hurricanes, bees, and financial challenges, The Church of The Cross will forever be a part of Bluffton History.